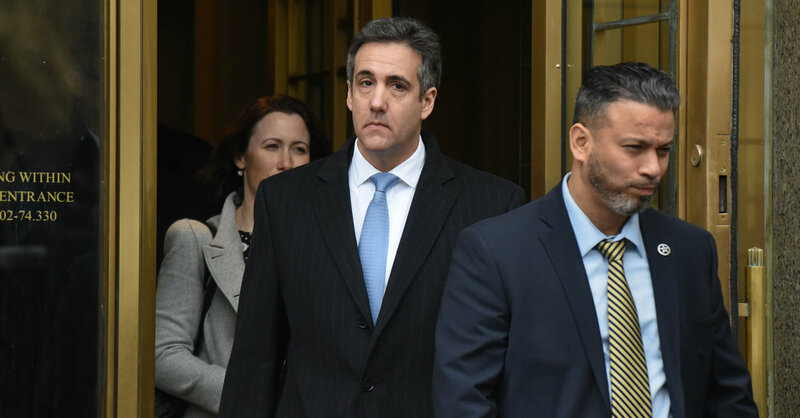 WASHINGTON — Democratic lawmakers pledged on Friday to investigate a report that President Trump directed Michael D. Cohen, his longtime lawyer and fixer, to lie to Congress about Mr. Trump’s role in negotiations to build a skyscraper in Moscow during the 2016 presidential campaign. In a flurry of public statements, senior members of Congress said that the allegations, if true, could be grounds for initiating impeachment proceedings against Mr. Trump. A proven effort by Mr. Trump to pressure a witness to commit perjury would be one of the most damning revelations so far in the investigation into Russia’s attempts to sabotage the 2016 presidential election and could be the cornerstone of a case that the president obstructed justice to keep investigators at bay. Lawmakers were reacting to a report published by Buzzfeed News on Thursday evening that Mr. Trump pressured Mr. Cohen to lie to Congress in 2017. “Today’s claims are just more made-up lies born of Michael Cohen’s malice and desperation, in an effort to reduce his sentence,” Mr. Giuliani said. “Two words sum it up better than anything anybody else can say and that is ‘categorically false,’” the White House press secretary, Sarah Huckabee Sanders, told reporters on Friday, echoing Mr. Giuliani. The New York Times has not independently confirmed the Buzzfeed report. The report added another jolt to a chaotic week for the White House, which has had to fend off questions about recent revelations that F.B.I. counterintelligence agents began investigating Mr. Trump in 2017 and that Mr. Trump has tried to conceal the details from senior administration officials about his interactions with President Vladimir V. Putin of Russia. In a December court filing, prosecutors working for the special counsel, Robert S. Mueller III, described how Mr. Cohen had repeatedly lied to Congress both about the length of negotiations over the Trump Tower Moscow deal and about Mr. Trump’s involvement in the project. Mr. Cohen had told lawmakers that the negotiations ended in January 2016 — before the first presidential primaries — and were never discussed extensively among executives of the Trump Organization. In fact, according to prosecutors, the discussions continued as late as June 2016, after Mr. Trump was the presumptive Republican presidential nominee. They also said Mr. Cohen discussed the progress of the Moscow project with Mr. Trump more frequently than he had told the committee and had briefed members of Mr. Trump’s family about the negotiations. That day, Mr. Trump defended his role in the Trump Tower Moscow discussions, brushing aside concerns that he was advancing his business interests at the time he was hoping to become president. “There was a good chance that I wouldn’t have won, in which case I would have gotten back into the business, and why should I lose lots of opportunities?” he told reporters. Mr. Cohen drafted his statement to Congress in August 2017 along with Steven Ryan, his lawyer at the time, according to people familiar with how the testimony was put together. Mr. Ryan was working with lawyers for the Trump family as part of a joint defense agreement. At least one of Mr. Trump’s personal lawyers saw Mr. Cohen’s congressional testimony before he delivered it in August and October 2017, according to people with knowledge of the discussions. Mr. Cohen initially repeated his false statements about the Moscow tower to prosecutors working for Mr. Mueller after he pleaded guilty in August to campaign finance violations and financial crimes. But he corrected himself during subsequent interviews and proved credible, the special counsel’s office said in a December sentencing memo. Mr. Cohen said he initially lied because he did not want to contradict his congressional testimony, prosecutors said. Subsequently, he took care “not to overstate his knowledge or the role of others in the conduct under investigation” and provided “useful information” about his contacts with “persons connected to the White House” in 2017 and 2018, the special counsel’s filing said. During his nomination hearing this week to become attorney general, William P. Barr was asked if the president would have committed a crime if he had coached a witness to testify falsely — or not to testify at all.